As a director, your CV needs to be far more focused and compelling than the applications for entry or junior-level employees. Other managers and leaders will be scrutinising everything from your formatting skills to your experience with precision. After all, while any poor hiring decision can be costly, the stakes are even higher for senior employees. When hiring managers are looking for senior-level leadership positions like Director of a financial company, every detail on a CV counts. As the saying goes: a great CV won’t guarantee you a job, but it should improve your chances of an interview. Here at Jobfitts, we have years of experience working with senior level employees and companies in search of leadership talent. Here’s our guidance for writing a successful director’s CV. All CVs must be tailored to the specific role and company you’re applying for. Successful people know that if they want to stand out, they need to prove that they did their research, and show that they can link their value to the goals of the business. Look at the job description for your target Director position, and highlight any key competencies, experiences or skills a hiring manager will be looking for. As you write your CV and cover letter, focus on making those key characteristics shine through. You can even mimic some of the languages that the organisation used to create a sense of resonance with the person who reads your CV. When hiring managers are browsing through director CVs, they’re not just looking for skills and potential; they’re searching for someone who can deliver genuine results. After all, as a director, you’ll have a significant impact on the way the business grows and evolves. You’ll need your CV to show your potential employer that you have what it takes to accomplish the goals that matter most to the company. Details are essential in an interview-winning Director’s CV, but it’s crucial to make sure that you include the right information. 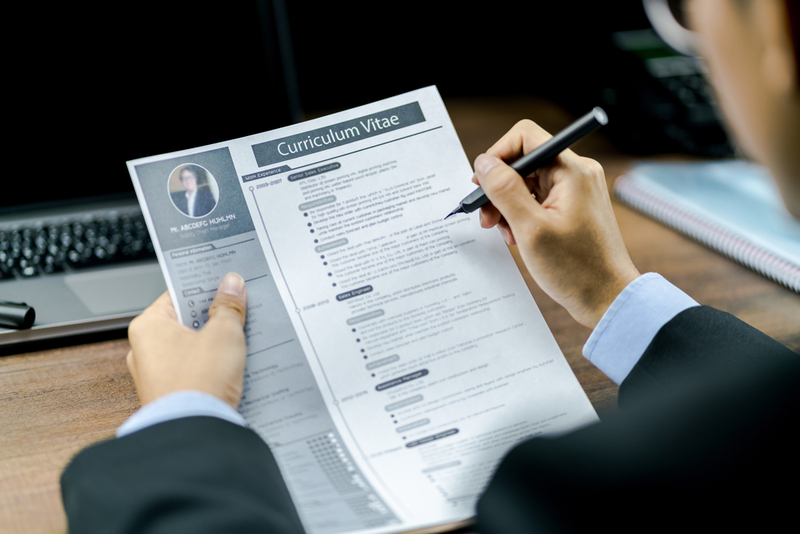 The hiring manager or recruiting company responsible for dealing with your CV will have various applications to sort through, so they’ll appreciate a CV that gets straight to the point. Your executive resume needs a consistent message running throughout the document that highlights the specialities and talents you bring to the table. For instance, if you’re particularly good at cutting costs as a regional director, highlight that in the details of your previous work experience, personal summary, and achievements. If you need to, you can even include a “core skills” section to highlight some of your critical competencies in bullet points. Irrelevant details about your hobbies and personality – unless your employer asks for this information. Your age and date of birth – no employer is permitted to ask for these details in the first place according to anti-discrimination laws. Headshots: Although certain companies appreciate a headshot as part of a CV, most won’t need a picture to make a hiring decision. Finally, include details that will define and showcase your personal leadership brand, and the things you can do for the organisation in question. Your director’s CV is your chance to show that you’re the best candidate for the role. There are plenty of managers out there that can build a top-performing sales team, but if your CV can show that you also share the same values as your target employer and deliver measurable results in the areas that they’re struggling with, you’re more likely to get an interview. With a list of the critical competencies that you found in the job description, work on making your personal leadership brand shine through in your CV. You can place a statement at the top of your CV that highlight the main qualities that make you right for the position or include this information in a custom cover letter. For instance, perhaps one of the things that makes you a great director is your ability to coach and motivate others. Rather than just saying you’re a confident and accessible leader, tell your employer what this means for their business. E.g., a leader that can teach others will improve productivity in the workforce, prevent teaching methods from becoming outdated, and deliver more engaged staff. Job Fitts Consultants are a specialist provider of professional Recruitment Services for the Financial Services sector and related suppliers in Australia. Since 2003 we have recruited and placed a breadth of operational roles at all levels from; HR, Accounting, Marketing and Customer Service/Frontline. To find out more visit our website at Job Fitts here or call us on (02) 9220 3595 or email here.